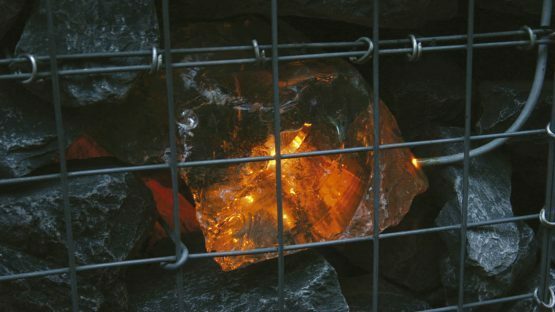 Spectacular lighting of glass blocks interspaced with pieces of volcanic rock, the structure held in place by standard dry-contention-wall frames. With this choice of structural support, the designer required a light source that would never require maintenance, since access to the transparent blocks would have been impossible. 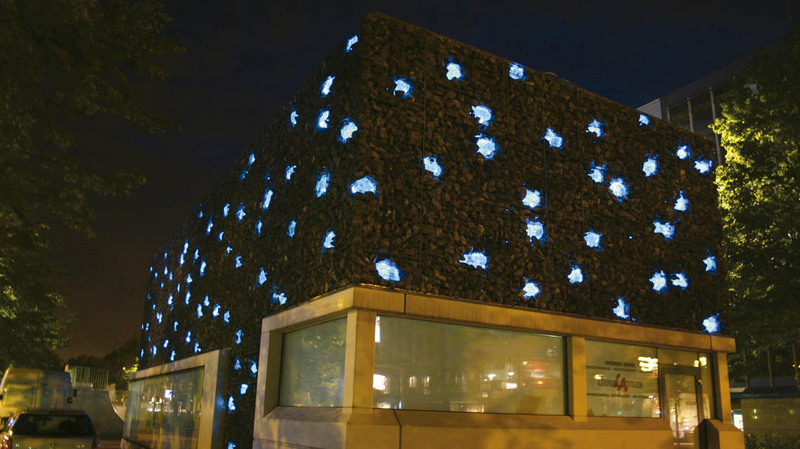 The solution consisted of PMMA light guides with fire rated cladding, each one lighting a single glass stone. 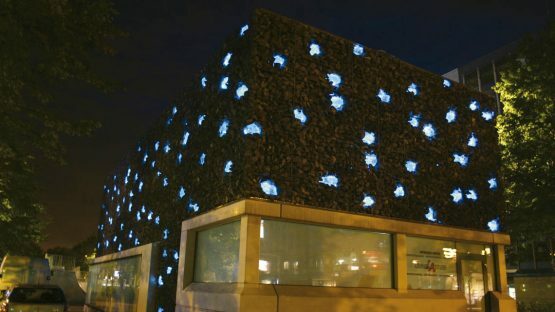 Color change of the whole structure is computer-controlled. MDI500 illuminators with 150W metal halide lamps, CMY color mixing, capable of reproducing any RAL color, DMX 512 control, 2 real-time sensors, dimming and IP44 rating. HLG201 High performance 5mm light guide, clad in Megolon, fire resistant and halogen free cladding.